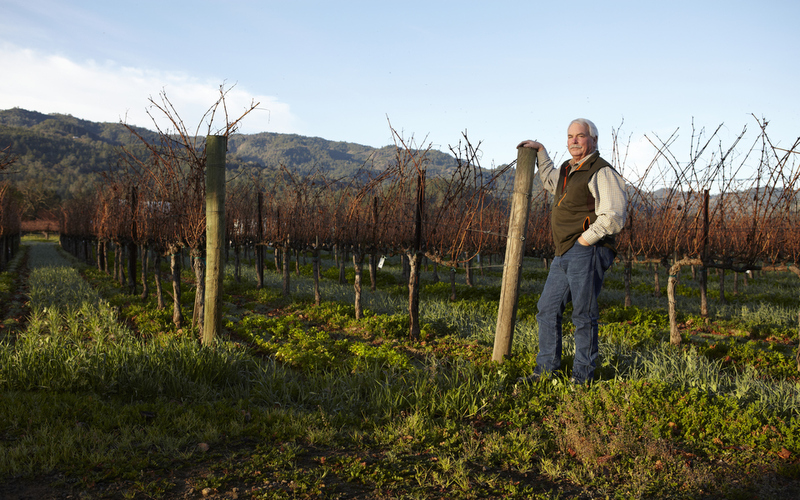 Jim was raised in Napa Valley on his family’s ranch in Rutherford, now home to Sequoia Grove Winery. The ranch was planted in prunes, apples and grapes – a diverse set of crops and fairly typical of the time. The wine industry had not yet fully kicked into gear and most of the Valley’s agricultural interests were focused on walnuts and prunes. His childhood chores were routine farming family responsibilities that included pruning grapevines and harvesting crops. He recalls the prune crop was sent to the dehydrator in St. Helena, now offices for Icon Estates. Apples also went to a dehydrator in Napa, now home to Angele Restaurant. The family’s grape crop of Gamay, Mondeuse and Petit Bouschet went to Gallo’s jug program at the Napa Valley Cooperative Winery. His dad saved enough grapes to make 10 to 12 barrels a year with the Bartolucci family so there was red wine to drink every night with dinner. After high school, Jim enrolled in Chico State, intending to become a parole officer. He took ag classes as well and drove a tractor for a vineyard management firm in Napa Valley on weekends to earn money. It took only a short period of time to realize his heart was not in law enforcement, but instead in viticulture so he transferred to University of California-Davis and graduated with a Bachelors Degree in Plant Science (viticulture). He returned to Napa Valley and began a career that would lead him to become one of the Valley’s most respected viticulturalists. He first worked with Laurie Wood whom was widely credited for being one of the best grape growers of his time. They became well known for developing vineyards on sites that one else dared farm, including hillside vineyards in AVAs like Spring Mountain. Jim took away immense experience under Laurie and now utilizes his teachings in his current vineyard managing by using traditional and contemporary hand-famring methods allowing the vineyards and the terroir show in the quality of the grapes. In his 30+ years as a vineyard manager and viticulturalist, Jim has planted and managed some of Napa Valley’s most coveted vineyards, including Hundred Acre, Grace Family, Blankiet, Hourglass, Tom Seaver’s GTS, Pride, D.R. 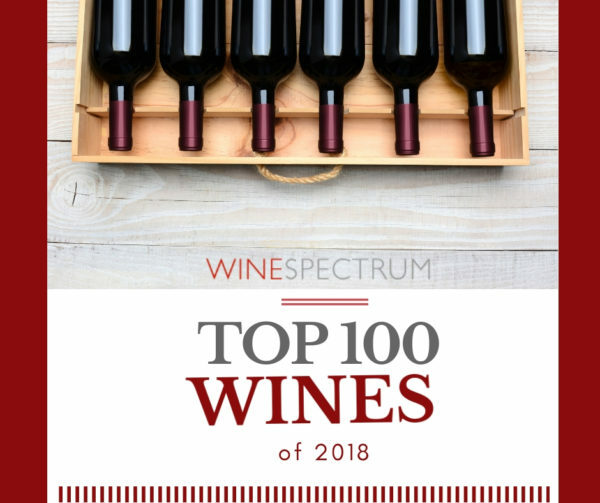 Stephens, Revana, Fleming, Entre Nous, Dark Matter, Aloft, Au Sommet, Amuse Bouche, Vineyardist, Seven Stones, Keever, Checkerboard, Von Strasser, and many more. 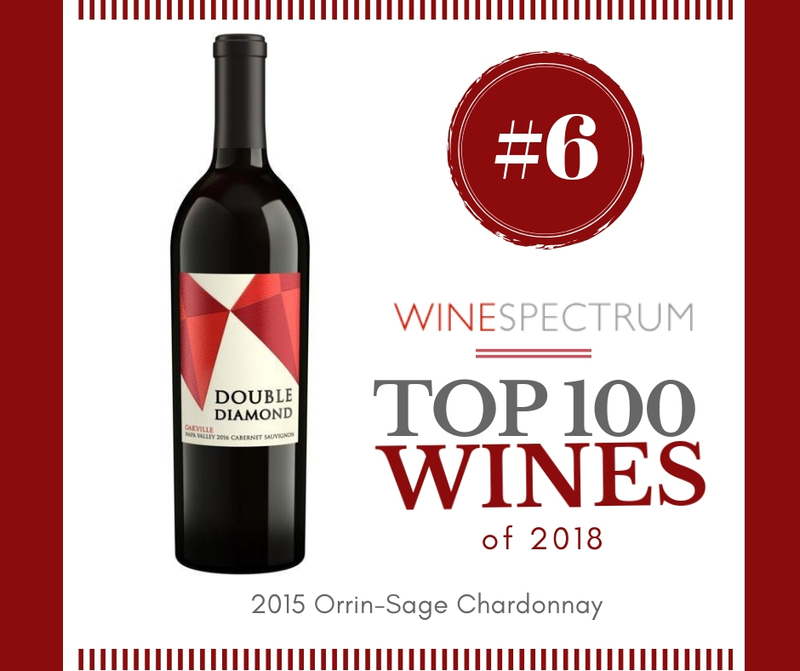 Jim and the team at Barbour Vineyards work hand-in-hand with the Valley’s most notable winemakers – Celia Welch, Philippe Melka, Thomas Brown, Heidi Barrett, Andy Erickson and Mike Hirby – to produce some very memorable wines. In 1992, Heidi Barrett, longtime friend, convinced Jim to start his own label. He selected Clone 7 bud wood from Grace Family to plant his vineyard and Barbour Vineyard’s first harvest was 1995 yielding a mere 50 cases of Cabernet Sauvignon. Over the years, its production has steadily grown to 400 cases. 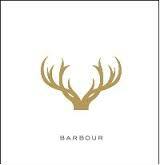 Barbour Vineyard in St. Helena always seems to yield spectacular fruit with a very lifted, slightly perfumed flair to the purple boysenberry and blackberry notes. The 2016 vintage seems to emphasize those lifted, aromatic qualities even more intensely. In addition to the purple fruit, notes of plum, cinnamon, nutmeg, and sweet earth add complexity. The mouthfeel is full, fruit-forward and elegant, with approachable tannins and just enough grip to lend weight to the core. The finish echoes the aroma, with forward, juicy fruit notes. Jim Barbour has become famous for his impeccably managed vineyards throughout the Napa Valley, including Hundred Acre, Grace Family, Revana, Harbison Estate, The Vineyardist, Gandona Estate, DR Stephens, Blankiet, Pride, and Checkerboard to name a few. He planted is own vineyard in 1992 southwest of St. Helena, using the Clone 7 bud wood from Grace Family Vineyards. His first harvest was in 1995, yielding just 50 cases of Cabernet. 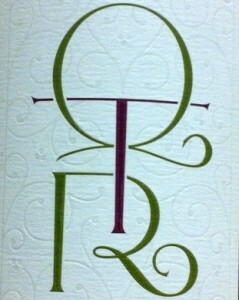 Vintages 1995-2008 were produced by Heidi Barrett. Starting with the 2009 vintage, Celia Welch has handmade this wine. Nose of rose petals and violets and beautifully ripened Cabernet fruit. Full-bodied, rich flavors of black cherries, red raspberries and black plum pair with cocoa powder, sweet spices, fresh tobacco and black tea leaf. 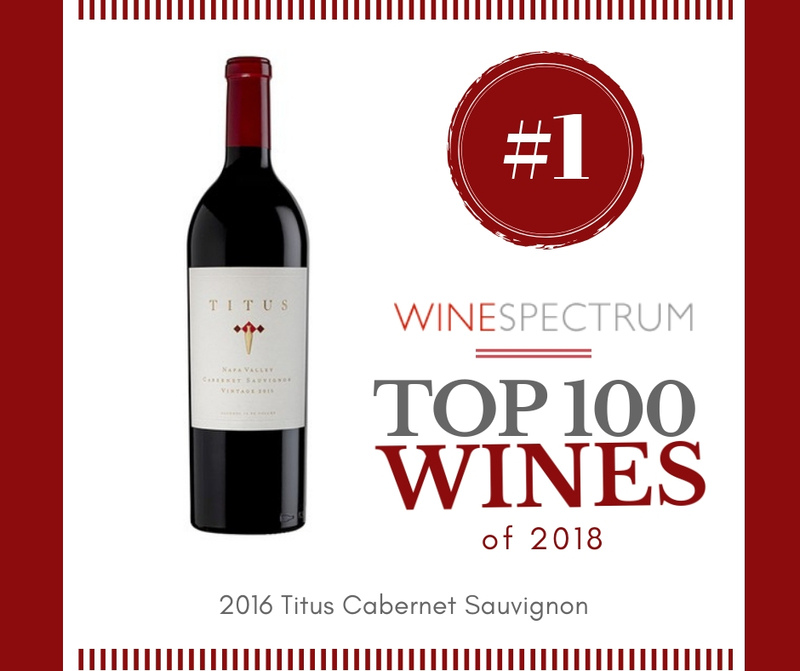 This 100% Cabernet Sauvignon offers well integrated, silky tannins, bright acidity and a long finish. 160 cases made. QTR (Quality Time Remaining) is a small, 400 case production of Cabernet Sauvignon from a vineyard located at the base of Howell Mountain. This is just the fourth vintage (third commercial release) crafted by the well-known Phillipe Melka, with Jim Barbour at the vineyard helm. The 2014 vintage offers sweet floral aromas and approachable tannins that speak to the lower elevation of Howell Mountain. 100% Cabernet Sauvignon. 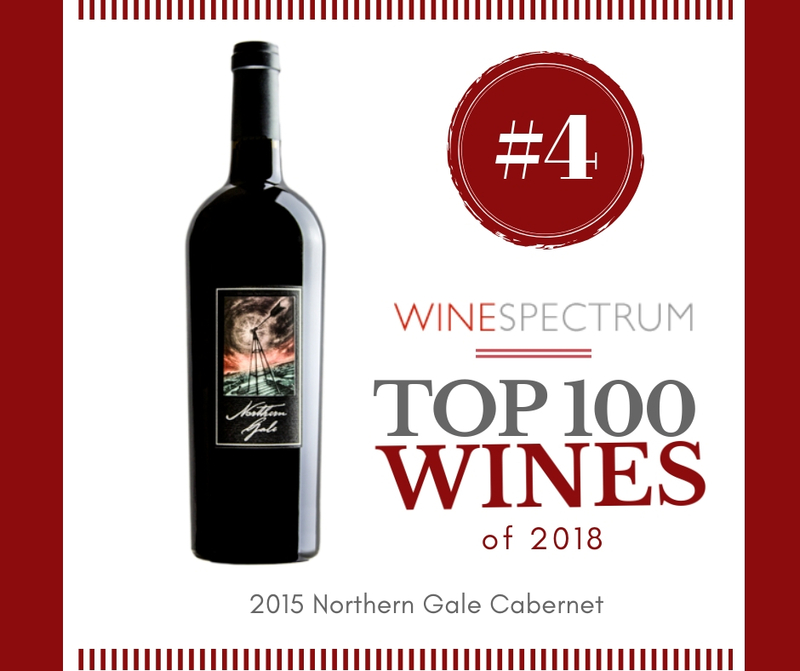 Wine Spectrum 98: The 2016 vintage of Perfect Season Cabernet Sauvignon was handcrafted by winemaker Philippe Melka from grapes farmed by viticulturist Jim Barbour. In its youth, it benefits from 3 hours of decanting. Aged in 80% new French oak barrels for 18 months, the 2016 Cabernet Sauvignon is opaque purple-black in color and sings of crème de cassis, blueberry compote, mulberries and plum pudding with touches of baking spices, mocha, black soil, Sichuan pepper and hoisin plus a hint of cedar chest. Full-bodied, rich, plush and seductive in the mouth, the palate is packed with black and blue fruit layers, finishing very long. 250 cases produced.